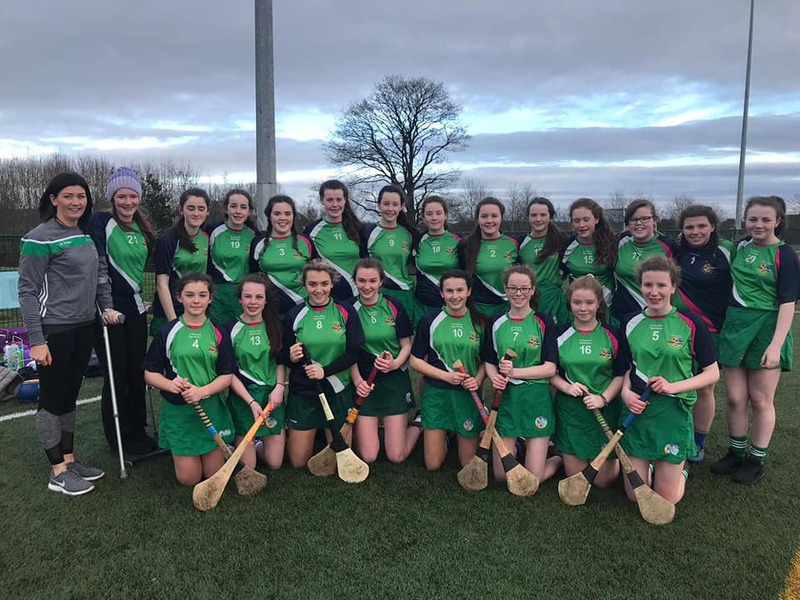 The 28th of February 2019 will go down in the annals of St. Aidan’s sporting history as the U16 Camogie team more Recently Ulster Champions clinched the Cavan Championship against a worthy Breifne College team under lights in Kingspan Breifne Park. The Experience gained in Cootehill’s Ulster Campaign came to the fore when Lisa Reynolds fought through the Breifne line and scored the first goal. Breifne were not found wanting in their response but they struggled with the strong St. Aidan’s defence. At the end of the first half scores had been chalked up by Paula Tully, Ellen Clegg, Ciara Fitzpatrick and Sarah Clarke. Leaving the half time score 3:3 – 0:0. After half time, Breifne responded with the first score, but they were never to recover from the first half despite a valiant team effort. In second half, Cootehill again, built up momentum and Laura Bannon and Orlaith Markey skilfully gave the sliotar off on a number of occasions to Sarah Clarke and Paula Tully who found the back of the net.